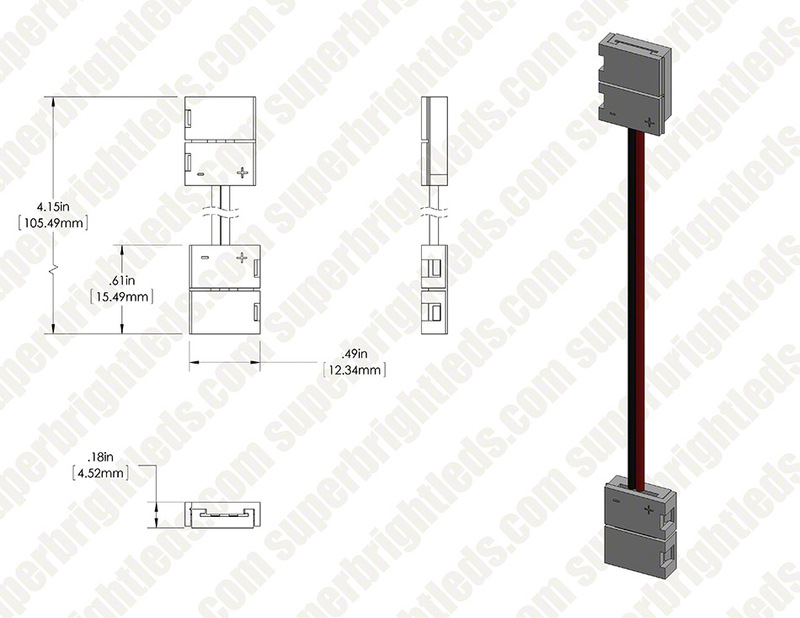 8mm flexible light strips interconnect jumper, solder-less inserts and connects NFLS series light strips. 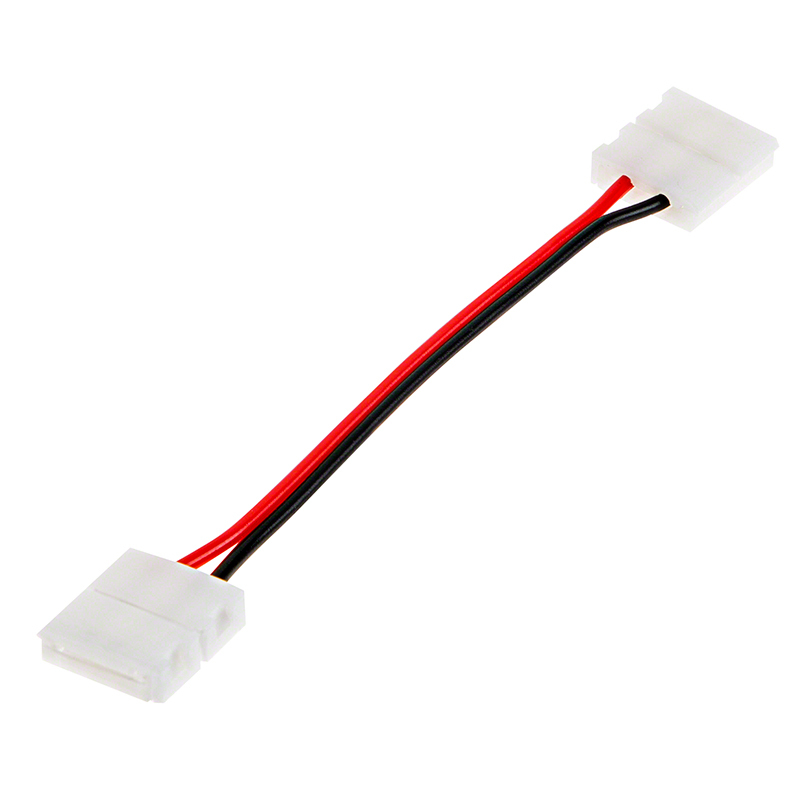 The connectors do the job but the electrical joint you are making realizes on a spring loaded tab(2) that rides over the led strip and makes contact with the small solder joint that you just cut in half when the led strip was cut to length. 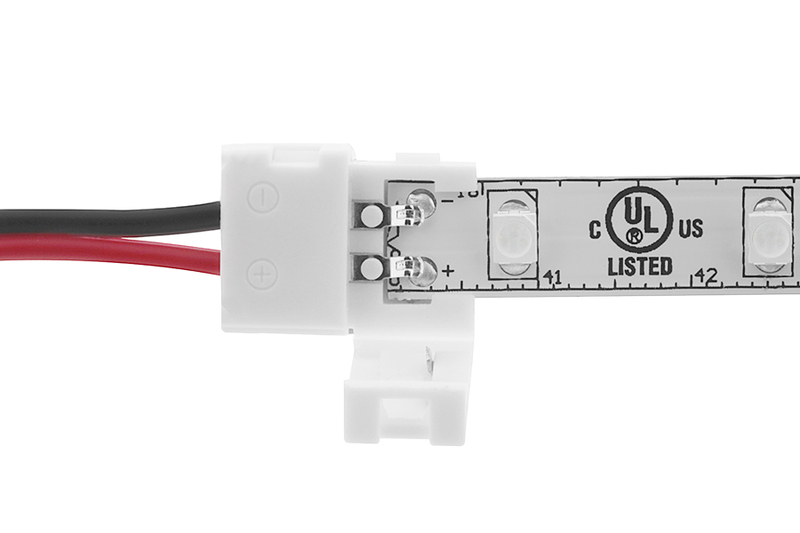 If the LED strip wasn't cut exactly on the center of the solder joint (this is where the LED strip is cut - every 3 LED) then you may have a connection issue with these connectors.